Abby Hollick gets into bed with a variety of artists, writers, performers and activitists for intimate conversations while sharing a 'duvet day' with them, all for BBC Sounds. One of Britain's most lovable garden insects is in decline, but there are signs that can be reversed. The battlefields of two world wars are still giving up the dead. We follow the process from discovery to a proper re-burial. How 'conservation volunteers' are carrying out scientific research to help protect the world's fastest land animal. A series of 5 podcasts-with-pictures about reconciliation and peace-building in Northern Ireland - successes and failures, hopes and fears. A rather different pictures from that usually given by UK news media. A year in the life of a government Bee Inspector, looking after the health of the nation's vital honeybees. Around 250,000 children across south-east Asia drown every year. It's been a hidden problem but now efforts are being taken to tackle it. Ordinary Cubans reveal what their lives have really been like under Castro’s socialism and, more recently, it’s transformation into a more capitalistic economy. For some, the Cuban Revolution was the last bastion of the communist dream; for others, a repressive, authoritarian regime. Largely missing from those debates were the voices of ordinary Cubans. Almost 60 years on from the Revolution, Professor Elizabeth Dore discovers how people from different walks of life and generations have experienced life, work, housing, racism, sexism and corruption on the island. "Cuban Voices " is based on the first large oral history project permitted by their government in more than thirty years. Professor Dore and her team of researchers got unprecedented access to ordinary people for over 15 years, and she has now returned for the BBC, visiting small villages and rural enclaves as well as the bustling metropolis of Havana, to hear how those same people's ideas have changed about the achievements and failures of socialism in Cuba. What she discovers frequently defies the official narrative of the Revolution. 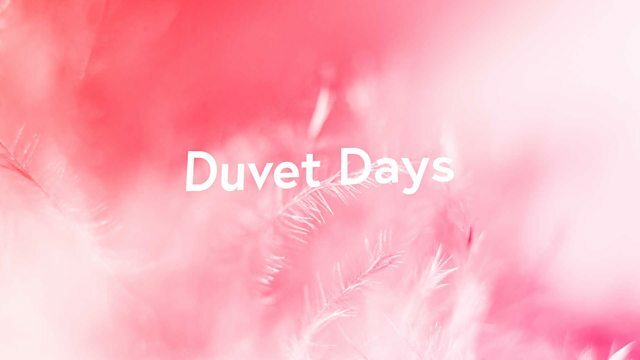 Our first podcast commission for BBC Sounds - highly talented freelance producer Abby Hollick came up with the idea for 'Duvet Days' in which she joins a celebrity guest for an intimate chat under the duvet! First episode features performance artist Bryony Kimmings, with Abby hosting & producing and directing the mix. Find it now on BBC Sounds - the sampler is here, and the first episode is here. Better still subscribe to the series! Big thanks also to Rosie Stopher, Abby's indispensable assistant producer, and Ian Kellet, who composed the lovely theme music, while our own Mike Hally mixes each epiisode. Enthusiastically reviewed by Miranda Sawyer, the Observer, 9 December 2018 "Another nice newbie ... Hollick is great at her job. Many [celebrity interview podcasts] could take questions and editing techniques from Duvet Days." Square Dog Media is a specialist audio production company, making radio programmes for BBC Radio 4 and World Service in particular, and also on occasion Radio 3, under the name 'Square Dog Radio'. We make history, science, current affairs and arts documentaries and features, covering all aspects of production from initial offer, through idea development, recording almost anywhere in the world, scripting, editing and post-production to delivery of complete broadcast-ready programmes. Both our senior partners are qualified as executive producers to ensure compliance with BBC Editorial Standards. Through this company, and predecessor organisations, the senior partners have delivered over 100 such programmes to the BBC. We are now branching out into other areas of audio production where high quality is required. We also offer journalistic and historical expertise where relevant. As part of that we are developing 'visualisation' of audio productions, for use on websites, in YouTube etc. We are also looking at corporate work. We also work with many and varied freelance presenters, producers, reporters and other contributors. Our 'regulars' are profiled on the 'about us' page.